Featuring an exceptional design, the Altra Aaron lane bookcase with sliding glass doors is a practical and beautiful addition to your home. The blue finish looks stunning when contrasted with bold colors, or it can bring a subtle sophistication to your home when paired with neutrals. This bookcase includes 4 shelves behind the 2 sliding doors. There’s plenty of storage space for books, personal items or to display décor. The sliding glass doors protect your books and keepsakes from dust. 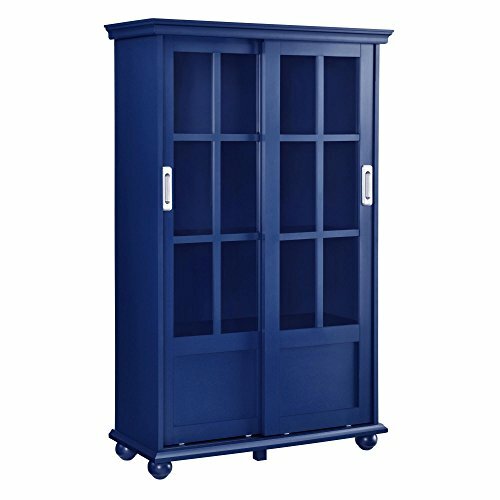 Altra Aaron lane bookcase with sliding glass doors requires assembly upon delivery.